OK, so the statement made in the post title is a bit of an obvious one for numerous reasons, but if there was ever any doubt as to why punching David Batty is not such a good idea people need only look at what happened to Graeme Le Saux 16 years ago this week. Without receiving a reciprocal punch (at least, not on the field anyway), Graeme Le Saux still managed to come out worse than David Batty, breaking his hand after connecting with the steel frame of the Leeds United, Blackburn Rovers and Newcastle United legend. The cause of Graeme Le Saux’s common sense bypass was believed to be anger at a gay jibe from David Batty. Le Saux was always considered somewhat effeminate, and spent most of his career taking homosexual “banter” from fans and occasionally players too. In his autobiography however, Graeme Le Saux (who still insists he’s straight) explained his attack was in response to a mouthful he received from David Batty for being greedy, and there was no homophobic insult used at all. 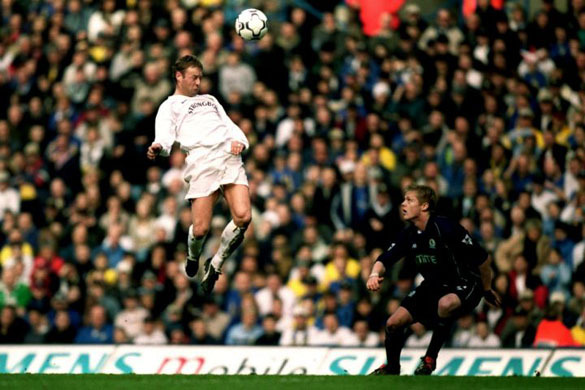 Being a morally aligned, hard-as-nails midfield enforcer is just one reason to love David Batty. Here’s another one.